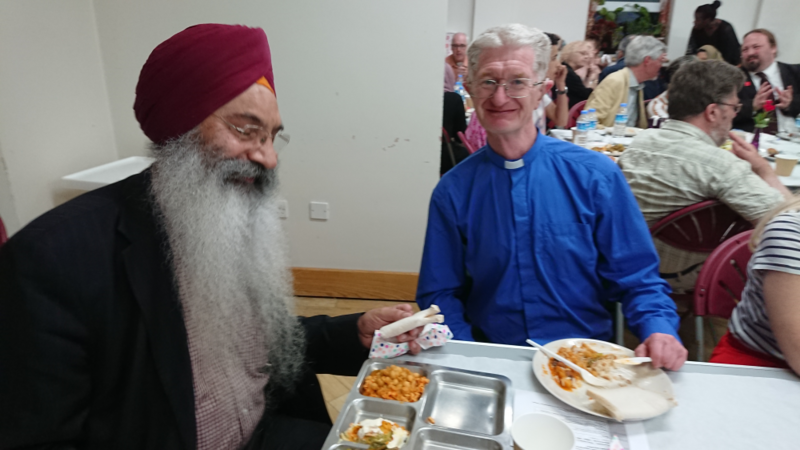 People from across the faiths and the community, gathered at the Siri Guru Nanak Gurdwara in Gillingham in May to join an Iftal meal provided by The Dialogue Society. The Society is a charity founded by British Muslims in the late 90s and seeks to advance social cohesion by connecting communities together and empowering people to engage with one another. Iftar meals are held in Muslim families worldwide during Ramadan – a month of fasting commemorating when the Qur'an was first revealed to the Prophet Muhammad; when the sun sets, Muslims are allowed to break their fast with the Iftar meal. 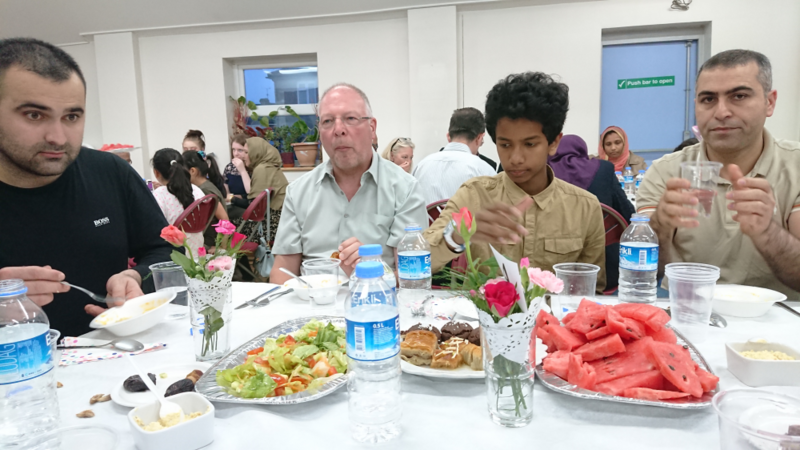 Increasingly these meals are being seen as an opportunity to invite non-Muslims to find out about Ramadan, to build social cohesion, and to enjoy good hospitality. The evening at the Sikh Gurdwara included short speeches from community representatives such as Councillors, the Police, the leader of Medway Council, and Rev Richard Martin, the Bishop’s Adviser for Inter-Faith Concerns in the Diocese of Rochester. Once the sun had set, the eating began, as the conversations continued and friendships were built. Rev Richard said: “This was such a wonderful occasion and great chance to make connections with those of other faiths. "It was heartening to see the warmth with which inter-faith friendships were welcomed by Medway’s community leaders, some of whom hold to no particular faith themselves but all of whom understand the importance of such friendships for social cohesion and community flourishing. Details will be shared shortly of a conference to be held at Rochester Cathedral in July 2019 which will highlight the historic visit of St Francis across the battle lines of the Crusades to the tent of the Sultan: an early and thought-provoking example of interfaith dialogue.